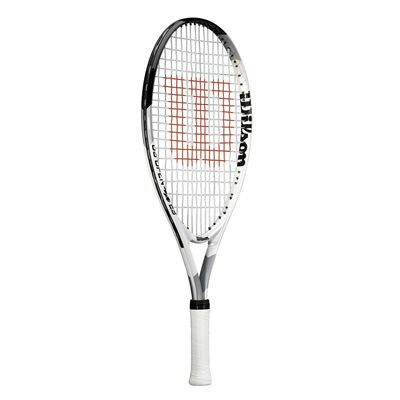 The Wilson US Open 23 junior tennis racket incorporates the C-Beam technology for added power. It is a superb beginner racket for those new to the game. The racket features an open string pattern (16x19) to guarantee more spin and an amazing feel. It has a head size of 95in2 (613cm2) and is lightweight which makes it easy to swing. This 23” (58.4cm) racket has a head light balance for excellent manoeuvrability and weighs 195g (6.9oz). In addition, it is supplied with a free, practical Tennis4Kids booklet and comes without a head cover. for submitting product review about Wilson US Open 23 Junior Tennis Racket SS13.